Avendus Capital advises Pepperfry on its USD 100 million Series D funding from Goldman Sachs, Zodius Capital and existing investors. 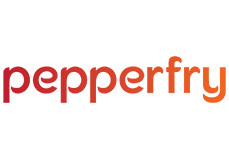 Pepperfry.com has raised a Series D round of $100 million from Goldman Sachs, Zodius Capital and existing investors Bertelsmann India Investments and Norwest Venture Partners. Pepperfry.com is India’s largest managed marketplace in the furniture and home goods category and has served more than 2million customers in 300+ cities. This is the largest round of investment to be raised a vertical focused Indian e-commerce player. Pepperfry.com will use the funds to expand its logistics footprint, open new distribution centers, and expand its carpenter and assembly services network. Pepperfry will also use the funds for hiring, improving the mobile experience, and expanding the Pepperfry Experience Centers. Avendus Capital was the exclusive financial advisor for this transaction. Gautam Patel, Managing Director, Zodius Technology Fund said, “We believe Ambareesh, Ashish and Team are building a formidable business in Furniture and Homecare. Their ability to move large pieces of furniture across the country within 24 hours using Technology is noteworthy. Pepperfry represents quality and service at scale with world class sourcing and private label branding. T.V. Mohandas Pai and Ranjan Pai have co-invested along with us." Pepperfry.com is India’s largest furniture and home décor marketplace. With more than 6,000+ items listed, Pepperfry.com offers unparalleled collection of furniture and home goods among Indian digital marketplaces. Pepperfry’s private brands represent furniture catering to a wide variety of consumers. Pepperfry provides several value added service customized to the Indian market. Goldman Sachs is an American investment banking firm that engages in investment banking, investment management, securities and other financial services. Goldman Sachs’ Merchant Banking Division is the primary centre for Goldman Sachs’ principal investing activity. Goldman Sachs’ MBD’s prior investments include Alibaba (NYSE: BABA), eHealth (NYSE: EHTH), Qualcomm (NASDAQ: QCOM), VMWARE (NYSE: VMW), BenefitFocus (NASDAQ: BNFT), Cyberpark (NASDAQ: CYBR), Infusionsoft etc. Zodius Capital is one of India’s leading investors in high growth and market defining Indiacentric business targeting the Consumer Internet/Mobile, Enterprise Software & Services and Big Data & Analytics markets. Zodius Capital’s notable investments include Big Basket, Culture Machine and Antuit. Bertelsmann India Investments (BII) is the strategic investment arm of Bertelsmann SE & Co. KGaA in India. It focuses on investments in the digital, education, media and services sectors. BII invests in pioneering companies developing new technologies, business models and visions of the future. It focuses on early stage as well as growth stage investments. Norwest Venture Partners is a multi-stage venture capital and growth equity investment firm that manages approximately $5 billion in capital and has funded more than 550 companies since inception. The firm targets early to late stage venture and growth equity investments across a wide range of sectors including: technology, information services, business services, financial services, consumer products/services and healthcare. Headquartered in Palo Alto, Calif., Norwest has subsidiaries in San Francisco, New York, Mumbai and Bengaluru, India, and Herzelia, Israel.